Grenadier company of the 100th Line Infantry Regiment. 1st company of rfusiliers of the 100th Line Infantry Regiment. A piece of French artillery. 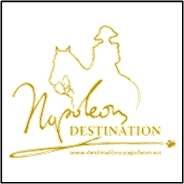 We decided to represent different companies with different uniform to be more didactic and visual in the events. We then define each element of the uniforms of each group. 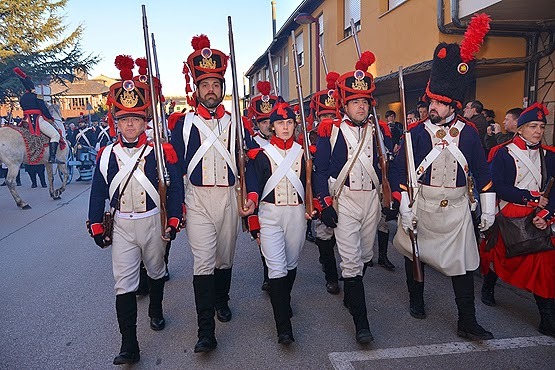 At all times we speak of theoretical equip, maintaining the campaign uniformity in recreations, such as coats, covered shakos, brown or blue pants, etc … or eliminating laces in the shakos. 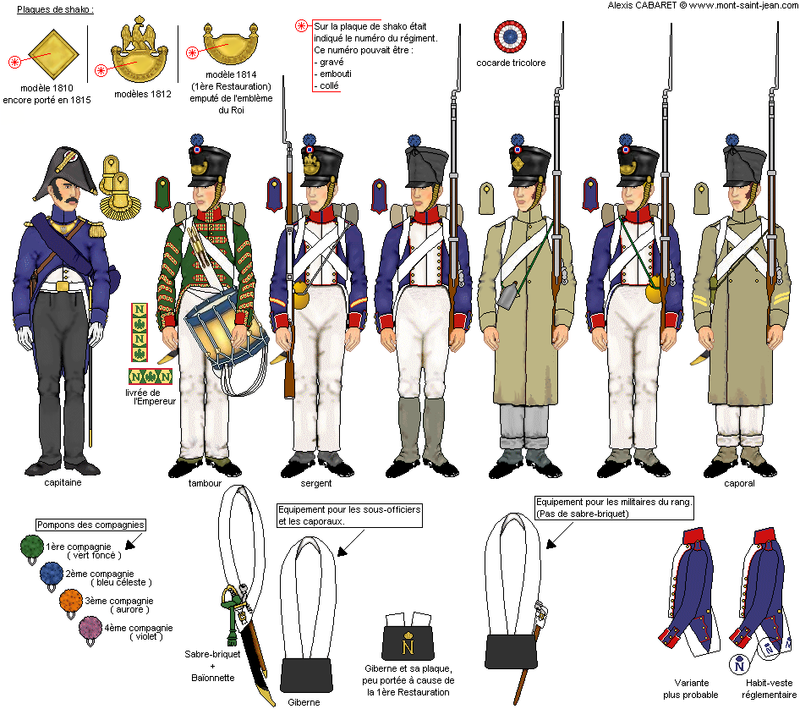 The grenadiers wear uniforms known as defined under the 1812 Bardin regulation. They wear blue coat with short rows blank because they belong to a line regiment, red neck, white lapels with red piping. Red cuffs with white piping. In the turns of the jacket a red flaming grenade, distinctive of the grenadier company. Red epaulets, distinctive color of the grenadier company. White pants with black short gaiter. Shako with gallon, pompom and red cords. Features front plate 1812 model brass regimental number. Harness with cartridge box on the left side and on the right a briquet saber whit a red “dragone”, and the bayonet. Leather Backpack on the back. They are armed withFrench Charleville 1777 rifles , revolutionary model or year IX model, with his bayonet. 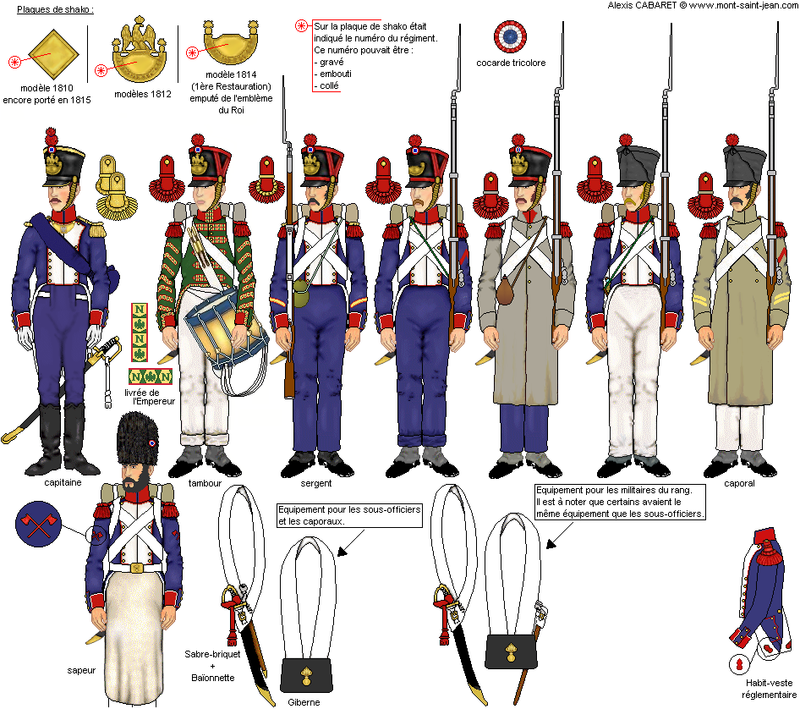 The fusiliers companie wears the previous uniformity of 1807. Blue coat longer than Grenadiers and with very marked flaps around. Collars and cuffs red with white piping. Round and white lapels. Straps and pockets with red piping. White pants with black gaiters. Shako with dark green pompom as is the 1st company. Harness with a cartridge box on his left side and the right sleeve of the bayonet. They are armed with rifles French mod. Charleville with his bayonet. 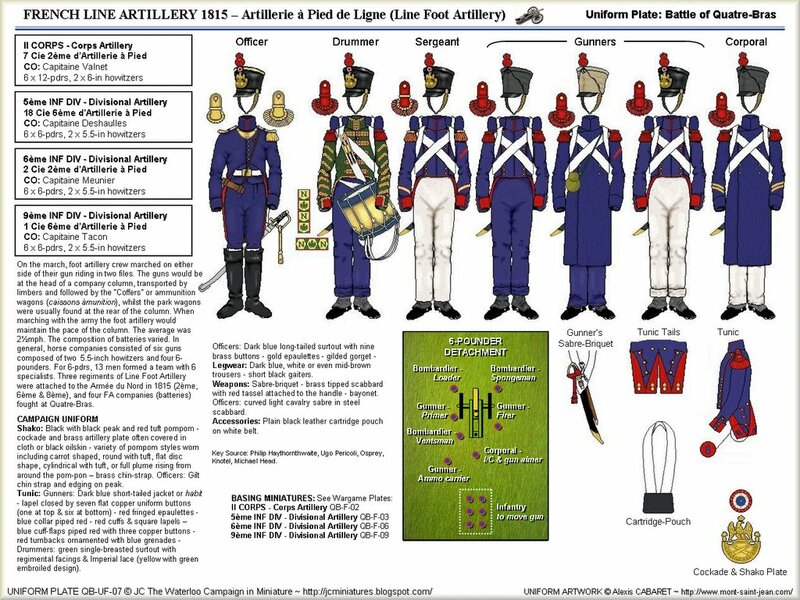 The gunners, like the grenadiers wear uniforms known as defined under the 1812 Bardin regulation. Blue jacket with short rows in red, blue collar, blue with red trim tabs. Red cuffs. In the turns of the jacket sports a blue flaming Granada. Red epaulettes. White or blue pants, black short gaiter. Shako with red laces gallon. Features front plate model 1812 brass. Harness with a cartridge box on his left side, and the right one briquet saber whit a red “dragone”, and the bayonet sleeve. The Association has a 4lb cannon with a English carriage. 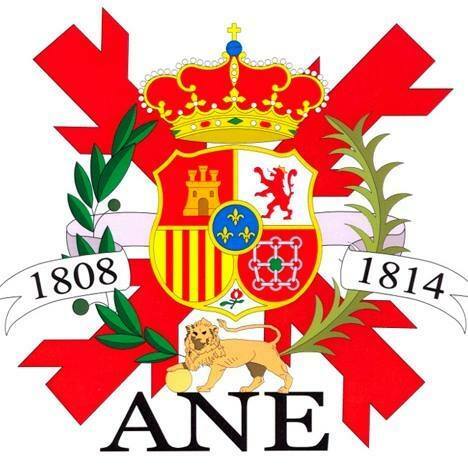 It is the issue number 10 in a series of 10 pieces that were manufactured in Soraluce-Placencia de las Armas (Guipúzcoa) by the Corporation of Placencia de las Armas (SAPA).